With 14 Oscar® nominations and six wins, La La Land and its charismatic cast cultivated a new worldwide audience for film musicals. 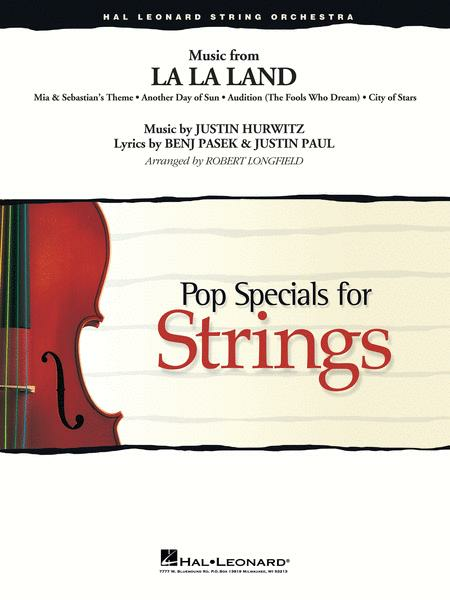 With memorable songs by composer Justin Hurwitz (including Oscar winner “City of Stars”), Robert Longfield's superb arrangement is great entertainment for most any performance. Includes Mia & Sebastian's Theme, Another Day of Sun, Audition (The Fools Who Dream), City of Stars. lovely medley and transcription. very good edition. our studients are so happy to play these musics! November 29, 2017 Everybody likes this music! We had a concert last November. The performers loved the audience, too. We're an amateur orchestra.